After twelve grueling weeks and having defeated 20 other candidates, Sydenham High alumna Bianca Miller has been pipped at the post to this year’s Apprentice title in a close fought final. The 25-year old went head to head with Australian salesman Mark Wright, launching their respective business plans with slick presentations to Lord Sugar, his trusted advisors Nick Hewer and Karen Brady and a room full of business experts. In the final boardroom meeting, Lord Sugar was clearly torn between the two candidates. However when it came down to the final decision, whilst recognising the potential commercial strength of Bianca’s idea for a range of skin-tone hosiery, ‘the devil inside’ drew him to take a gamble and plump for Mark’s digital marketing business. When asked if she had always thought she could get to the final, Bianca said simply yes, she had always worked towards that goal. She was also happy to admit that she had made mistakes along the way but had always learnt from them and become stronger as a result. Learning to fail and using that self-knowledge to eventually succeed is something that is integral to Sydenham High’s approach to educating its students to meet the challenges of the future. 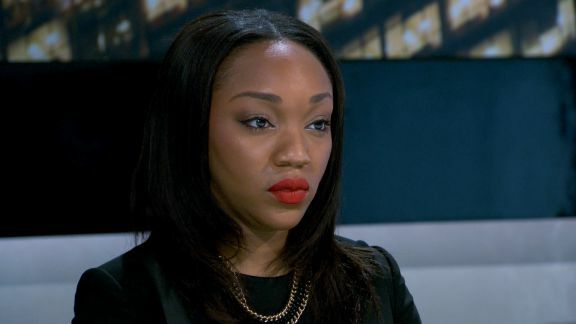 Bianca may have missed out on this year’s Apprentice title and gaining Lord Sugar as a business partner but that isn’t stopping her putting her skin-tone matching hosiery business plan into action. A new website – BiancaMillerLondon.com – is already under construction. Such is the interest that has been generated in Bianca and her product plans that the site was immediately inundated by potential customers seeking to register for more information, and it temporarily crashed. The school is looking forward to welcoming Bianca back so that students and teachers can congratulate her in person.